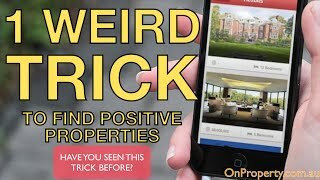 This 1 weird trick will help you find at least 100 positive cash flow properties and it takes less than 5 minutes. The technique is really simple. 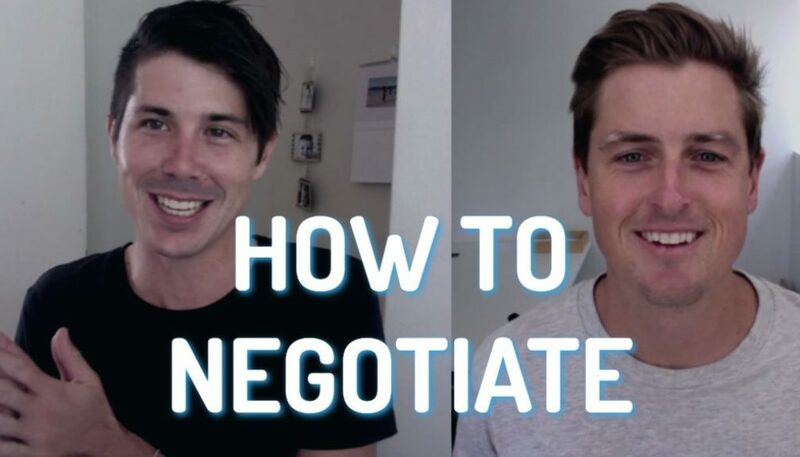 First you need to go to www.realestate.com.au and choose the state you want to look in. Then go to property types and select ‘blocks of units.’ Now go to max price and select something around the $500,000 mark. Otr you could go up to $700,000 or $800,000. I’ve found that selecting an excess of $800,000 (especially over the $1,000,000 mark) results in yields that are not that good. Once you’ve entered the information click search and look through the results. After you find a property that interests you go to On Property Plus (which is our premium membership website) and use the Advanced Property Calculator to check the yield of the property. 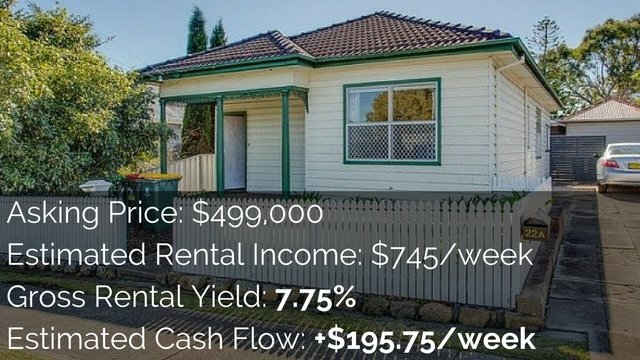 Enter the purchase price, weekly rental income, current interest rate and a deposit percentage. The calculator will then tell you the rental yield, weekly/yearly cash flow (before tax) and cash on cash return (before and after tax). Now these calculations are rough estimates so call the real estate agent to get more accurate council rates, insurances and so forth. Within On Property Plus we have a lot more lessons about how to find positive cash flow properties. It shows you how to use a property magazine to find higher rental yield areas so you can narrow down your search. 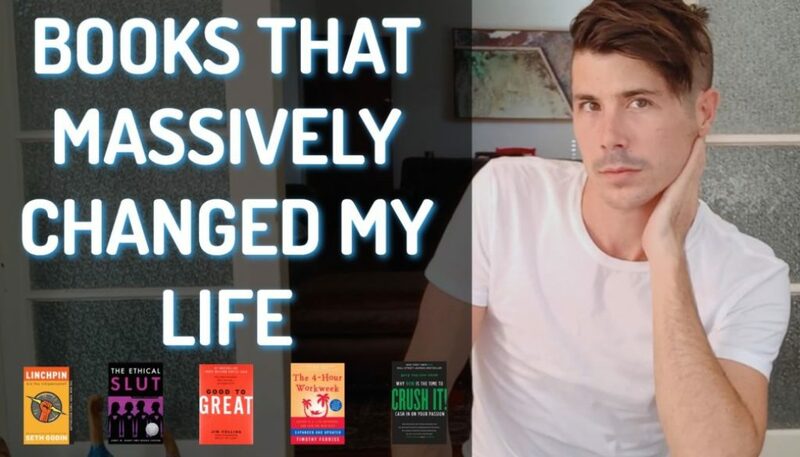 Or you can go through the McLean Method (parts 1 and 2) which is the exact method I used to find my first positive cash flow properties. You can use it to find positive cash flow properties all over Australia. We also look at the different types of properties that are likely to generate you a higher rental yield. 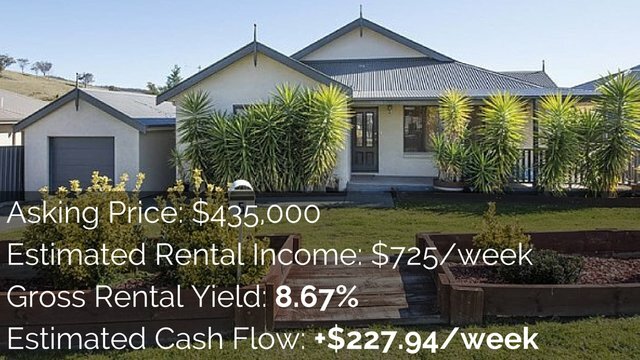 So while you are doing your search you can narrow it down by looking at Real Estate Investar which is a paid search tool that can help you find positive cash flow properties. 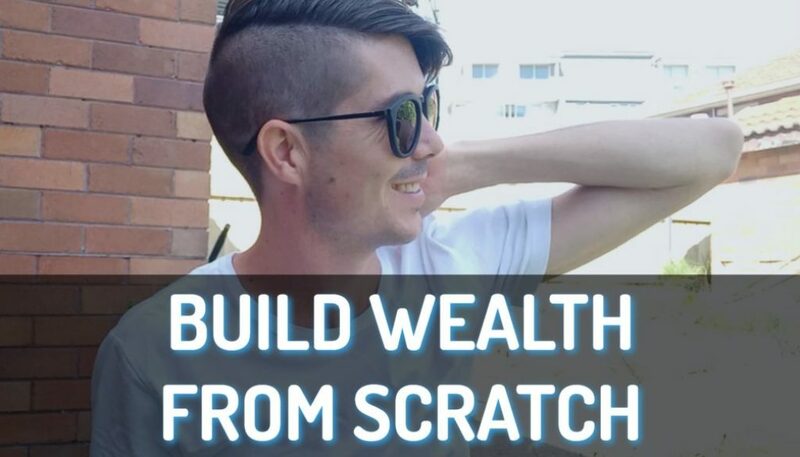 Coming soon we are also going to be looking at how to use a site that not many people know about called www.nextplace.com.au which can help you find positive cash flow properties as well. That is all a part of On Property Plus and as you maybe aware that we also have property listings within the site where we list new positive cash flow properties every week. 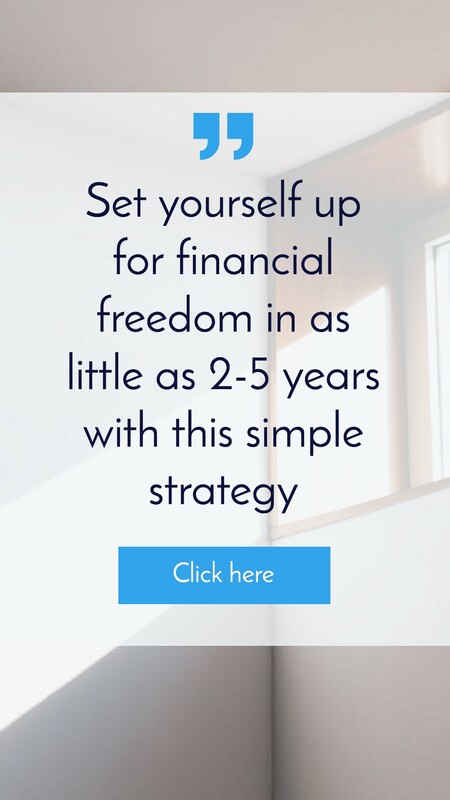 If you want to become a member go to www.onproperty.com.au/plus to find more information and choose the plan that’s best for you.